A recent Appellate Division opinion recognizes that firing an employee because he or she is in the process of getting divorced violates the New Jersey Law Against Discrimination (LAD) because it constitutes marital status discrimination. Robert Smith worked for the Millville Rescue Squad for 17 years as an emergency medical technician (EMT) for 27 years. Mr. Smith’s wife, who also worked for Millville, was one of his subordinates. The couple separated after Mr. Smith’s wife learned he had been having an affair with another subordinate. Mr. Smith told his supervisor, John Redden, that he had his wife had separated, and indicated he did not think there was any chance he would reconcile with her. Millville fired Mr. Smith approximately six weeks later. According to Mr. Smith, Mr. Redden told him Millville was firing him because he supposedly was going through an ugly divorce with his wife. In contrast, Millville claims it fired Mr. Smith as part of a job restructuring and Mr. Smith’s allegedly poor job performance. Mr. Smith filed a lawsuit in which he claims Millville fired him because of his marital status, in violation of the LAD. The case went to trial, but the judge dismissed the case after Mr. Smith presented all of his evidence. The trial court found Mr. Smith’s evidence could not support a marital status discrimination claim because there was no evidence Millville fired him because he was married or not married. 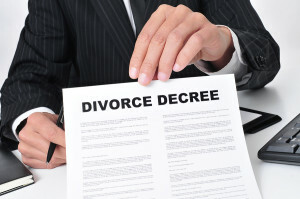 It concluded that employers have the right to fire employees because they are concerned that their divorce would become messy. However, in the unpublished opinion of Smith v. Millville Rescue Squad the Appellate Division disagreed. It concluded that for purposes of the LAD, “marital status” means more than either being married or single. For example, it also includes being engaged, separated, or involved in divorce proceedings. The Appellate Division found Mr. Smith’s alleged facts, if true, would be direct evidence of marital status discrimination. In particular, a jury could find Mr. Redden’s statements to Mr. Smith were admissions that Millville decided to fire him because it assumed his divorce was going to be ugly. The Appellate Division also explained that employers can enforce anti-nepotism rules that prohibit two related employees from working for the same employer even if it means firing an employee because his or her spouse also works for the same employer. However, Millville fired Mr. Smith because he was getting divorced, not because he and his wife worked for the same company. Further, the court found it was irrelevant that Millville did not fire other employees who were divorced or divorcing, since it apparently was discriminating against a “subset of divorcing employees,” namely “those married to a fellow employee.” Accordingly, it remanded Mr. Smith’s case for a new trial.